RA Narrow Style Security Locking Bar. 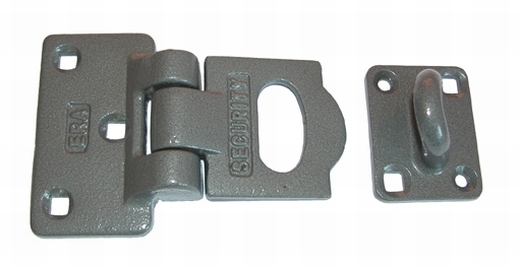 This locking bar is manufactured from heavy malleable iron castings for maximum strength. The hardened forged-steel hasp conceals the staple to prevent hacksawing and forced wrenching. Suitable for doors up to 63mm thick.